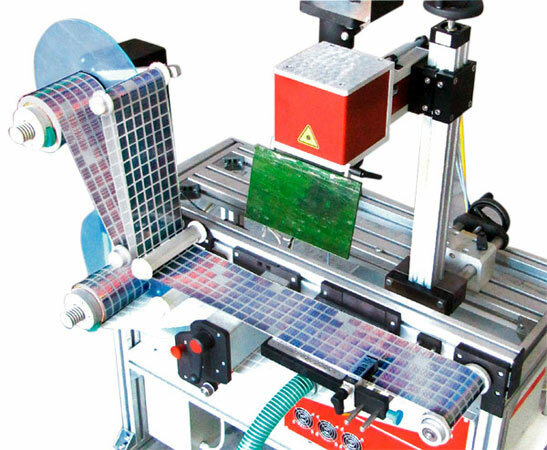 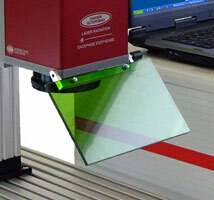 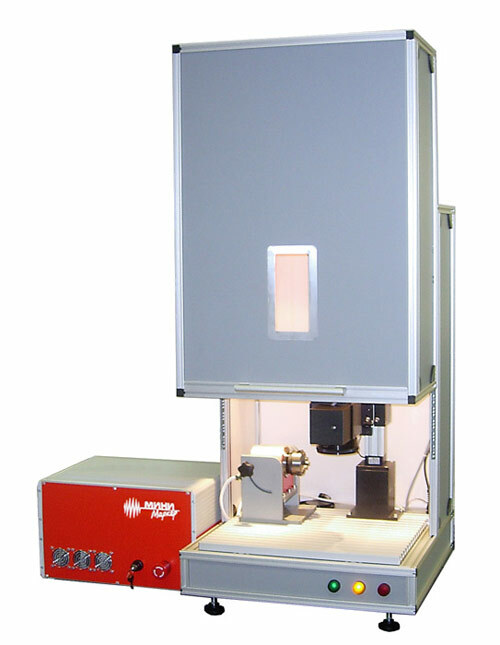 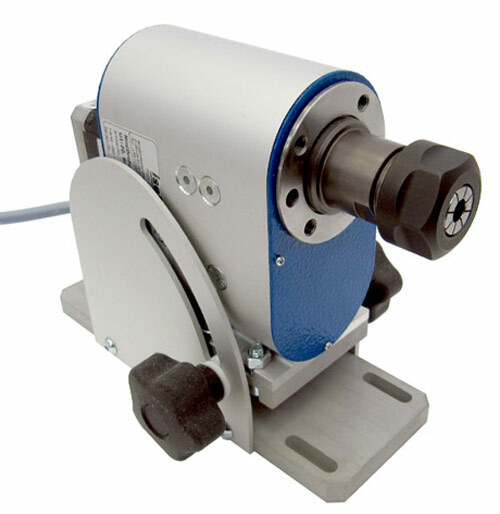 Manufacturer Industrial Laser Systems. 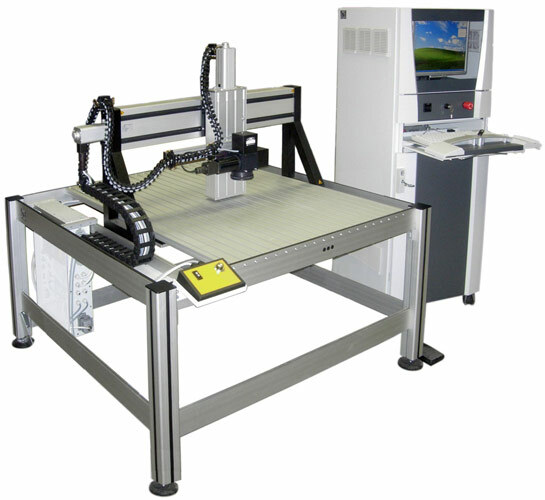 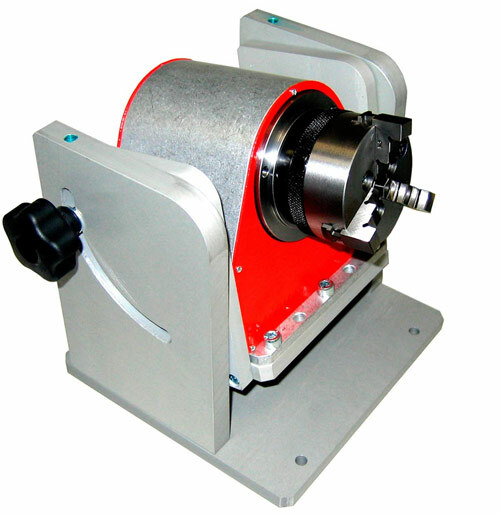 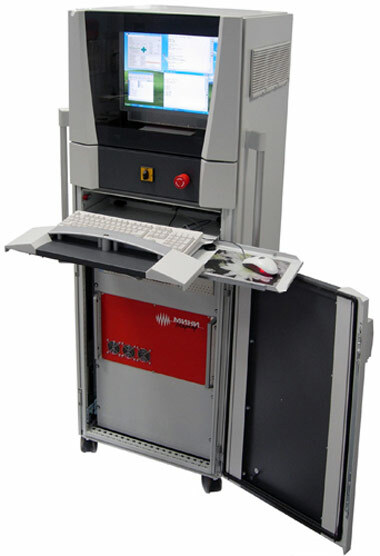 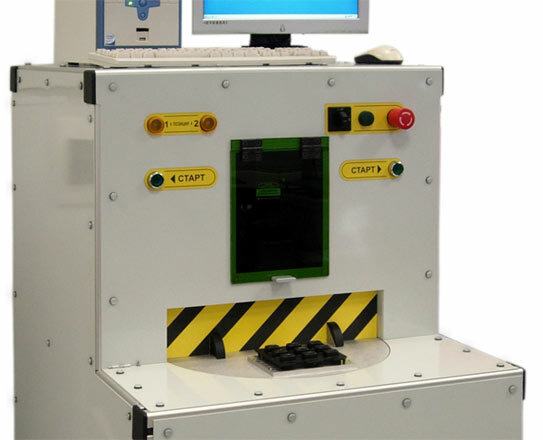 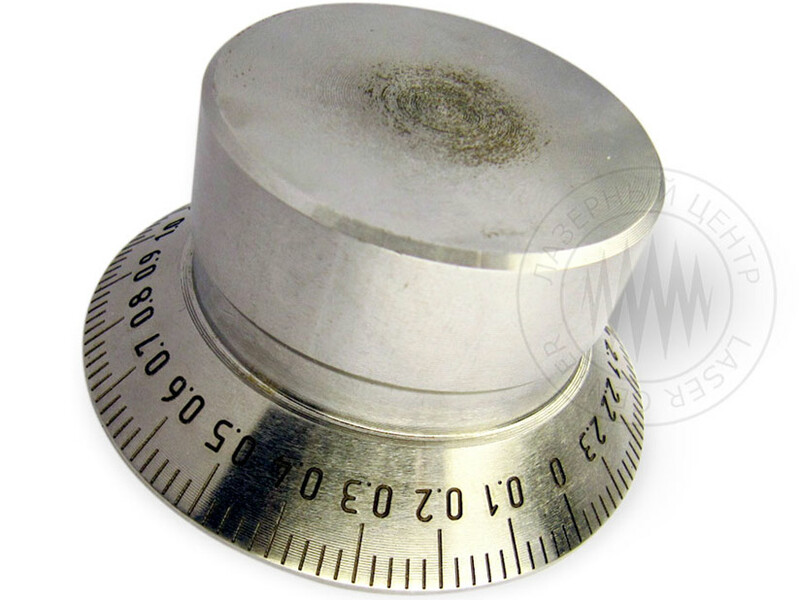 Additional options, which broaden the capabilities of the standard laser marking equipment: interchangeable lenses, rotation and travel devices, vertical axis electric drive, protective systems, and portable movable tables. 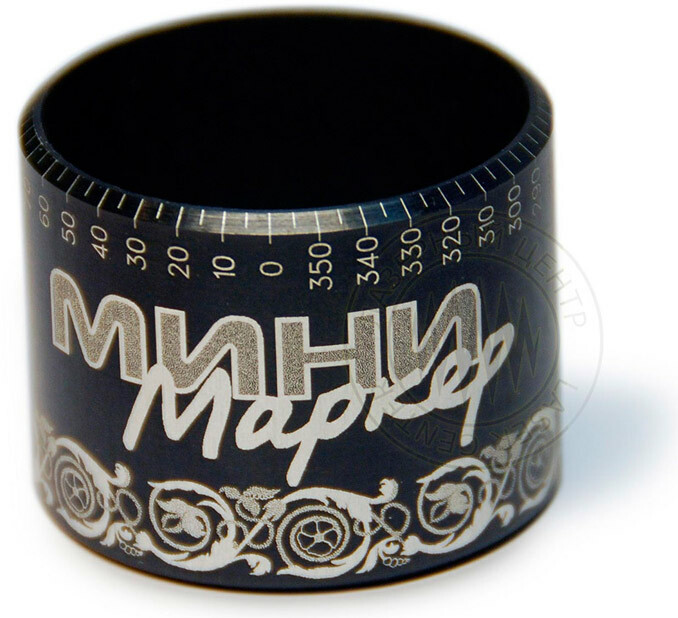 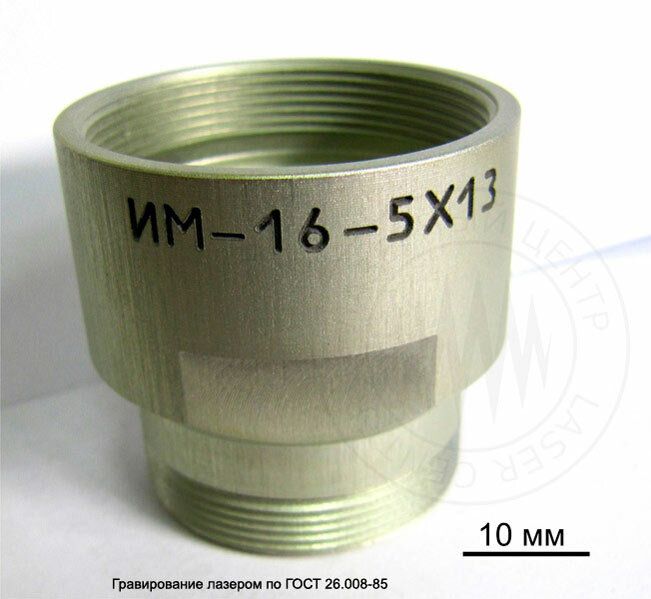 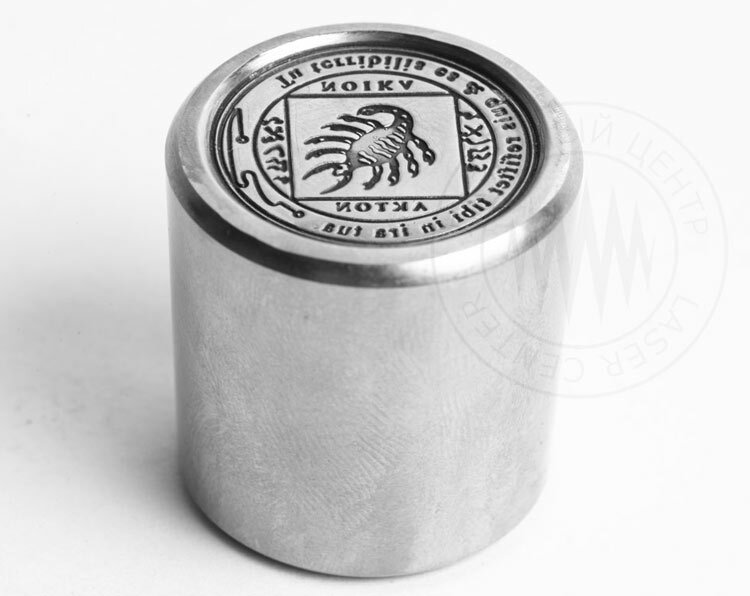 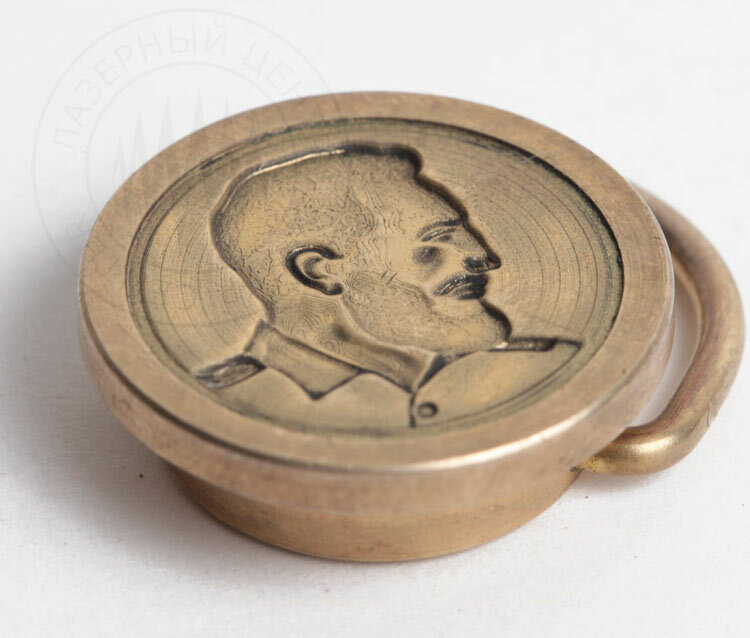 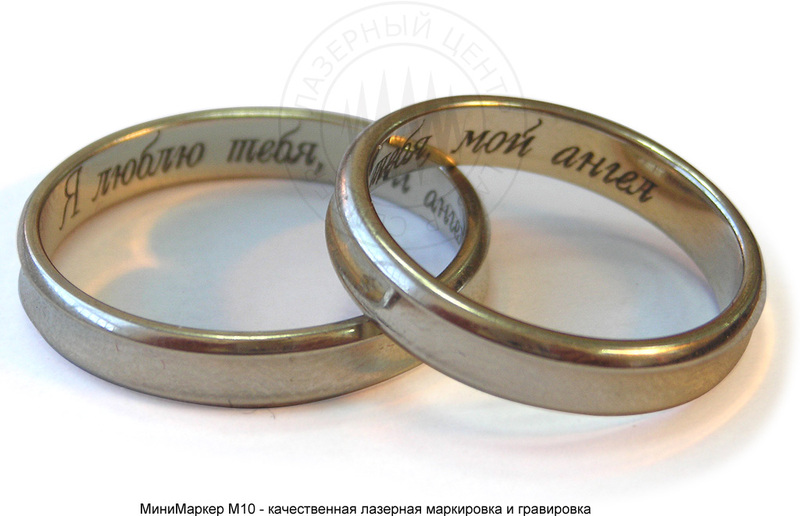 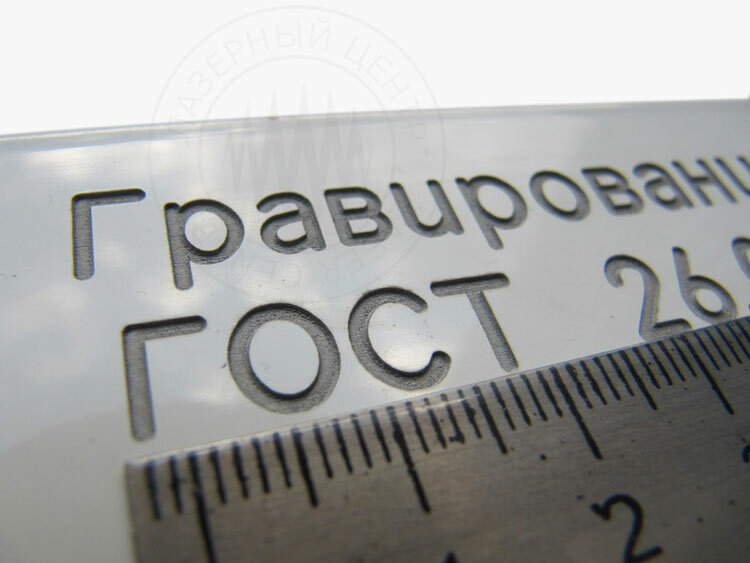 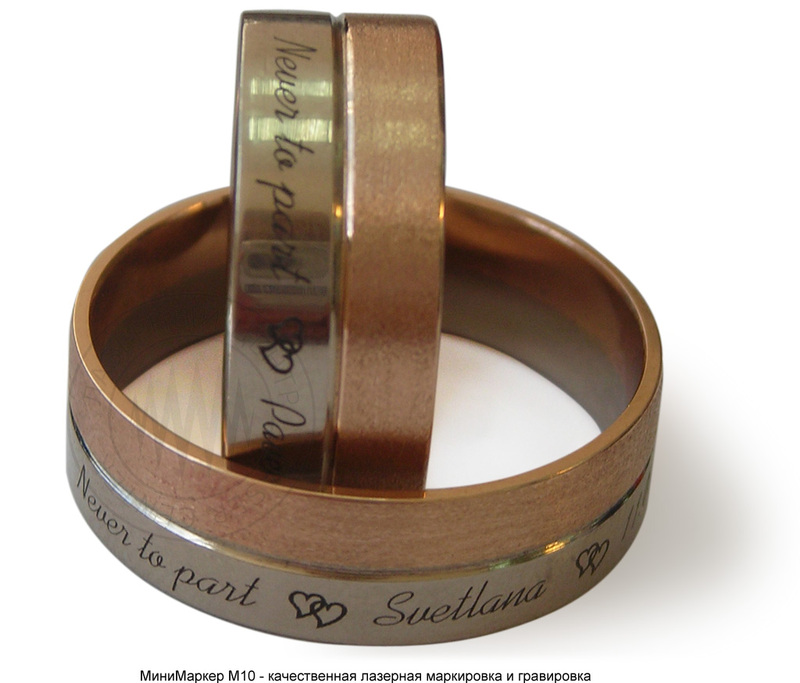 This option is intended for increasing the contrast of laser engraving on sensitive surfaces (such as polished surfaces, lacquer or galvo coating). 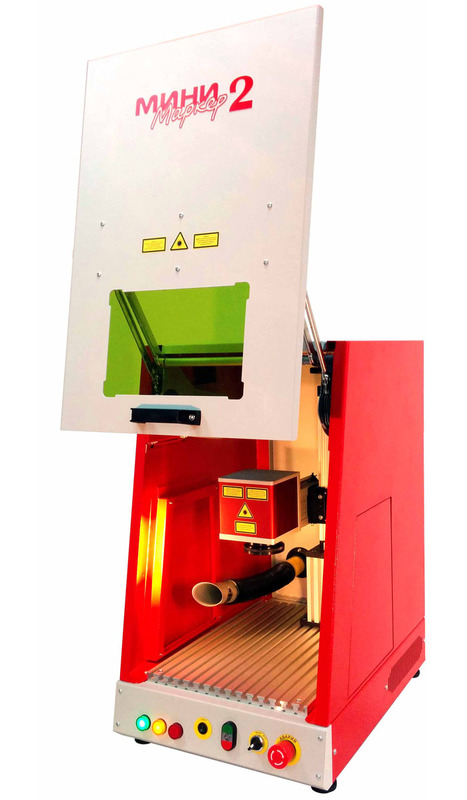 The use of electric drive gives you the means to automatically control the beam deflecting system on the vertical axis and program its movement in order to mark complex products of different height and for the 3D deep engraving on moulds, punches and electrodes. 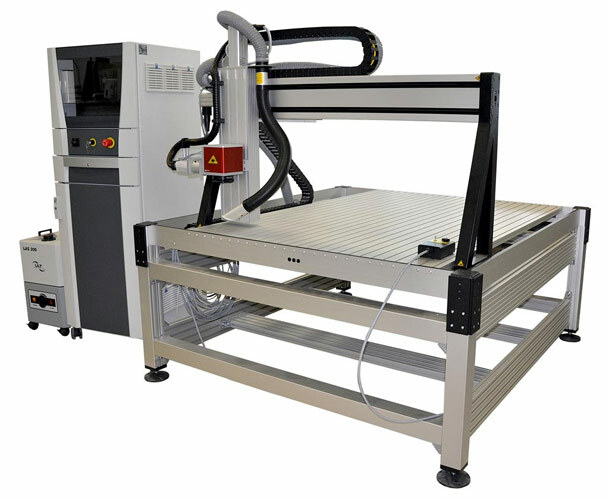 2-axis laser machine with a working area dimensions of 300*400 mm for Federal Unitary Enterprise "Telegraph equipment factory" in Kaluga. 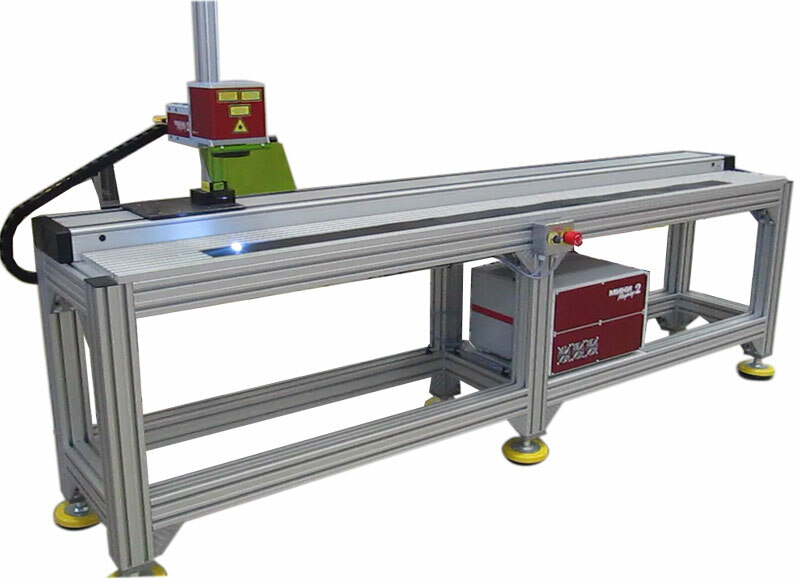 3-axis laser machine with the marking area of 1600*300 mm and 0,1 mm positioning accuracy for "Otis" elevator cabin factory in Saint-Petersburg. 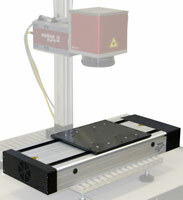 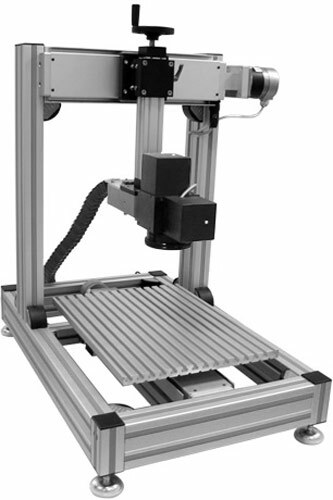 3-axis laser machine with the marking area of 1250*1030 mm. 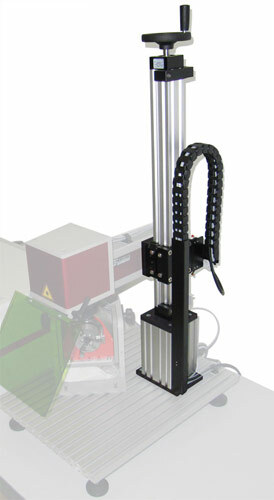 3-axis laser machine with the marking area of 850*780 mm. 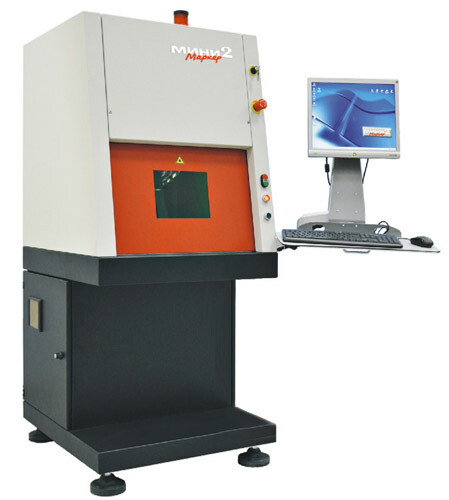 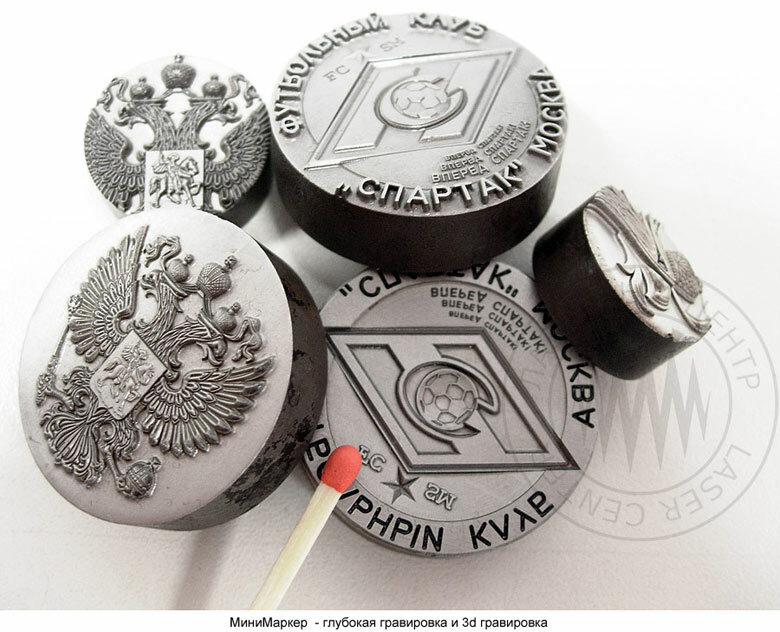 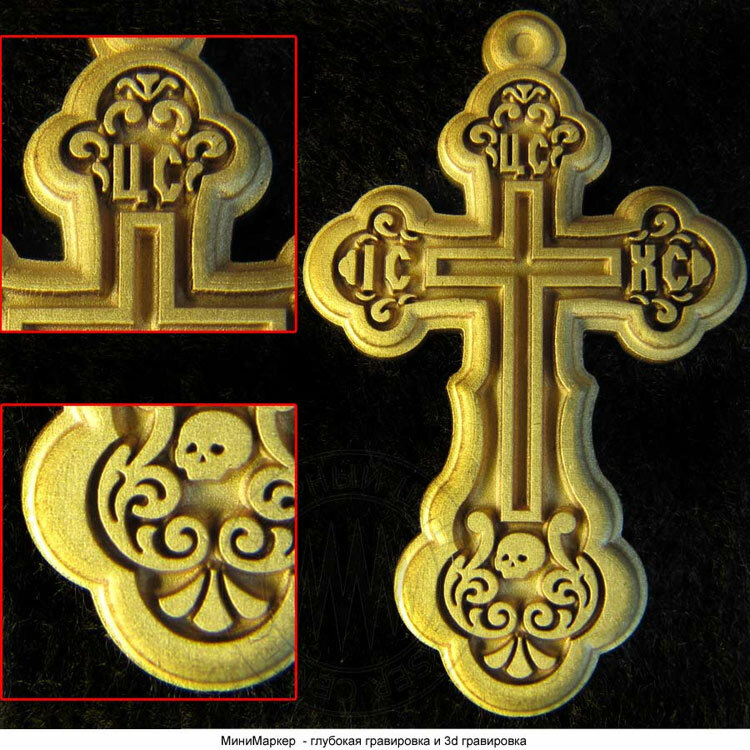 This laser machine for "Sylovye mashiny" in Saint-Petersburg. 2-axis laser machine with the marking area of 160*2500 mm for highly productive manufacturing. 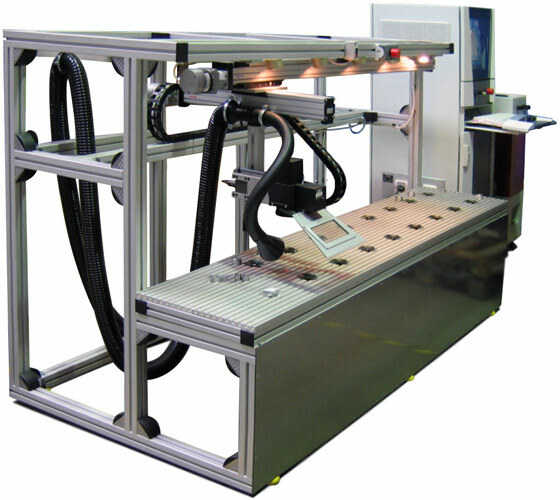 Transfero complex for marking of coiled materials, has the option of cutting the outlines of the labels when they are produced from materials with adhesive layer.